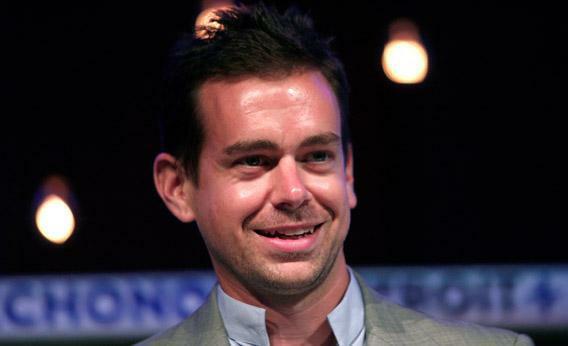 Square: Jack Dorsey’s payments firm is Silicon Valley’s next great company. Square’s mission: Make shopping so easy that everyone starts buying more stuff. Photo by Bill Pugliano/Getty Images. Ever since Facebook went public, people in Silicon Valley have been a bit bummed out about the tech industry. Keep in mind that the Valley is infinitely optimistic, so even when they’re bummed, folks here keep smiling. Still, in numerous conversations over the past few months, I’ve detected a sense of gloom, and it’s obvious why. Social networking had long been hailed as the next big thing, a revolutionary tech that promised to change the world and rake in big money, too. While it’s still promising, Facebook’s dismal stock performance (not to mention that of related companies like Zynga) has cooled the industry on big, ad-sponsored consumer websites. Meanwhile, Google is trying to figure out what it wants to do with its future, while Apple, the tech world’s engine of hardware innovation, feels less exciting than it did when the iPhone and iPad were new products. So far, there’s no sign that Tim Cook’s company is interested in pursuing anything more than incremental, hyper-profitable annual updates to its product lineup (not that there’s anything wrong with that). The Valley likes to anoint standard-bearers, companies whose amazing, unreasonable success points to sunny days ahead. Before Facebook, everyone was gaga for Google, and before Google there were all those dot-coms. Now there’s a hole in the industry’s crystal ball. There’s no consensus on which company will define the next era of technology. I believe the tech industry’s next great company is Square. If you’ve heard of Jack Dorsey’s three-year-old firm, you likely think of it as a payments startup. Square is famous for its white plastic card reader, a device that lets small businesses use phones and tablets to accept credit cards. But calling Square a mere payments company minimizes its potential, and it misses Dorsey’s world-changing mission. If you study Square’s products and its pricing, and if you talk to Dorsey about his plans, you’ll find that the company’s real mission is to alter the psychology of consumption. Dorsey is bent on creating frictionless commerce. His long-term goal is to make accepting payments a breeze for businesses, and he wants to make paying for stuff invisible—for everyone, across the entire economy, for all types of goods and services. If Square succeeds in that mission, it will become a persistent, ever-present part of our daily lives. You’ll use it every time you engage with businesses—which might mean you’ll interact with Square more often than Google, Facebook, Amazon, or even Apple. I spoke to Dorsey and Keith Rabois, Square’s chief operating officer, at the company’s gleaming San Francisco office last month. I’d come to chat about two recent announcements that won lots of headlines, but whose combined effects haven’t really been appreciated by the tech press. In August, Square announced that, beginning this fall, it will process all credit card payments at Starbucks stores. When the system is fully up and running, customers will be able to shop at Starbucks just by saying their names: After you opt in, your name and photo will pop up on the Starbucks cashier’s screen when you enter the store with your phone in your pocket. To pay, you’ll just tell the cashier to put it on your tab. That’s it—you don’t have to remove your phone or swipe or sign anything. Taken together, the Starbucks deal and the monthly pricing plan address what had been Square’s greatest problem—the chicken-and-egg hurdle that all online marketplaces face when starting out. Square’s pay-by-name system will only achieve its potential if lots of stores accept it, but stores have little incentive to sign up with Square if there aren’t a lot of customers clamoring to pay that way. These two announcements solve both sides of the puzzle. The Starbucks collaboration will introduce millions of new customers to the magic of paying with Square, while the new pricing plan will give businesses a clear financial incentive to sign up. Once both sides get together, Square will be unstoppable. Let’s look at the monthly pricing plan first. For many retail businesses—small businesses and huge ones alike—credit card processing fees rank among the top monthly expenses. The worst part isn’t that the fees are high, but that they’re mysterious and unpredictable. My sister owns a cupcake store in Southern California. When I asked her what she pays for processing credit cards, she didn’t know; when she showed me her five-page monthly bill, I understood why. There were dozens of lines of charges—she pays different prices for different kinds of cards (there more than 10 kinds of Visa cards listed on the bill, and almost as many MasterCards), plus various other fees and cryptic surcharges. Like all payment companies, the processing firm she uses had advertised a very low per-swipe fee. But those advertised prices usually turn out to be ephemeral. When I studied her bill, I determined she was actually paying a sky-high 4.2 percent average fee per credit card transaction. I wondered if Square’s price was too good to be true. After all, the company has raised millions in venture-capital funding, so couldn’t it just be doing what all venture-backed companies do—offering its services at an unprofitably low price to achieve huge market growth? But Rabois said he expects the plan to be profitable, and he offered a couple reasons why. First, Square is extremely efficient. Other companies hire a sales force to peddle their services; Square doesn’t do that. Instead, it spends most of its resources building great software and hardware, and it expects to win adherents based on the strength of its superior product. “The entire cost of running this business on the human side is incredibly low,” Rabois said. But the more interesting reason why Square might make a profit is that it believes it can change customers’ shopping habits. Its pay-by-name system is so much of an improvement over the current way we pay that, over time, Square believes it will raise transaction volumes—people will buy more stuff because buying stuff is easier. Not every business can afford to give you a $5 envelope to make you feel better about paying. But Square is the next best thing. Every other company that’s looking to modernize the payments business is working to fix what Dorsey disdainfully calls “payment mechanics”—they’re just figuring out ways for you to pay with your phone instead of your credit card. Dorsey’s aim is much bigger: He wants to remove the psychic baggage surrounding money, “which is something everyone on the planet interacts with and we all feel bad about.” Dorsey believes that when you keep money invisible during a commercial transaction, the experience will improve for everyone. He offers another scenario, one we’ve all experienced. “You go out and have a great meal,” he says. “But it’s the end of the night, you’ve been there for two hours—and now you have to wait another 30 minutes because they forget about your bill. And that ruins the night.” Imagine if, instead of that delay, you could have just told your waiter to put the bill on your tab before you even sat down. Then, when you’re done eating, you can walk out whenever you like, adding the tip on your phone. Wouldn’t that be fantastic? Square has lots of rivals. In addition to traditional credit card processors, PayPal, Google, Groupon, and even Apple might be gunning for it. But Dorsey is the only guy in the industry who’s thinking about payments in a deep way, and Square is the only payments company that’s innovating on hardware, software, and price. Now, as we approach the launch of the Starbucks collaboration, I think we’ll see this approach pay off. This will be Square’s moment: Millions of people will see its magical payment system in action for the first time. Once they get hooked on it, they won’t want to stop.